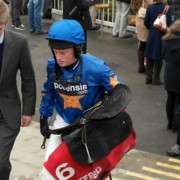 Tidal Bay and Teaforthree head the list of 88 entries for the Coral Welsh National which will take place at Chepstow Racecourse on December 28th 2013. 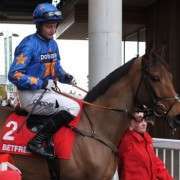 Trained by Paul Nicholls, 12 year old Tidal Bay has also been given entries into three other major races over the next five weeks including the Betfair Chase at Haydock on November 23, the Hennessy Gold Cup at Newbury on November 30 and the King George VI at Kempton on December 26. 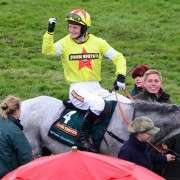 Following his win on Tidal Bay in the Bet365 Hurdle at Wetherby on November 2, it now looks likely that Sam Twiston-Davies will retain the ride for the Betfair Chase with Noel Fehily partnering Silviniaco as the Nicholls stable jockey, Daryl Jacob, rides Polisky at Ascot on the same day. 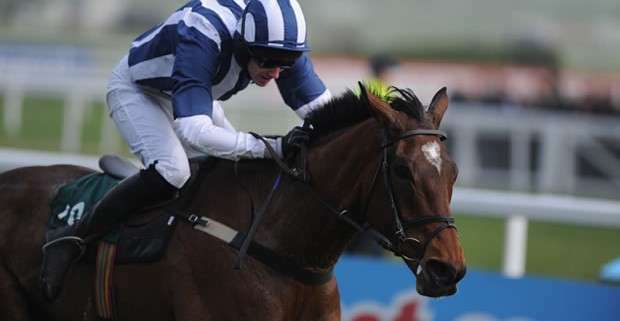 The Rebecca Curtis trained Teaforthree finished in second place in the 2012 renewal of the Welsh National when beaten by half a length by Monbeg Dude. Having finished in third place in the Aintree Grand National back in April, he has yet to make his seasonal re-appearance and to date this is the only entry on the cards for him. Last year's winner, Monbeg Dude has not been given and entry and will not defend his crown after connections decided to focus their attentions on a shot at the Grand National at Aintree on April 5 2014. 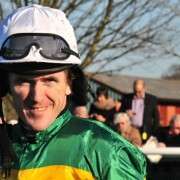 Speaking to Racing UK, trainer Michael Scudamore said “The Aintree National is something that anybody would want to try and win and the lads that own him really, really want to give that a go. Other notable entries include the ante-post race favourites Highland Lodge, trained by Emma Lavelle, Rocky Creek trained by Paul Nicholls and Super Duty trained by Donald McCain. 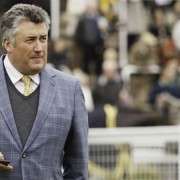 Of the 88 horses entered Paul Nicholls holds the largest number of entries with seven including Tidal Bay, The Minack, Rocky Creek, Join Together, Poungach, Sam Winner and Hawkes Point. Donald McCain, Richard Lee and Venetia Williams all hold five entries with David Pipe, Tom George and Willie Mullins each holding four. There was a significant increase in the numbers this year, up from the 55 that were entered in 2012. 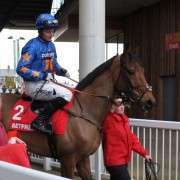 As one of the most important events in the jump racing calendar, the Welsh National attracts some of the best chasers and numerous previous winners have gone on to victory in the Aintree Grand National or the Cheltenham Gold Cup including Bindaree, Earth Summit, Silver Birch and Synchronised. The Welsh National is a Grade 3 National Hunt chase run over a distance of 3m5f with twenty-two fences to be jumped. This year's prize money has increased from £90,000 to £100,000 with total prize money on the day at £190,000.